Gretel and the Dark is Eliza Granville's dazzling novel of darkness, evil - and hope.Vienna, 1899. Josef Breuer - celebrated psychoanalyst - is about to encounter his strangest case yet. Found by the lunatic asylum, thin, head shaved, she claims to have no name, no feelings - to be, in fact, not even human. Intrigued, Breuer determines to fathom the roots of her disturbance. Eliza Granville was born in Worcestershire and currently lives in Bath. She has had a life-long fascination with the enduring quality of fairytales and their symbolism, and the idea for Gretel and the Dark was sparked when she became interested in the emphasis placed on these stories during the Third Reich. 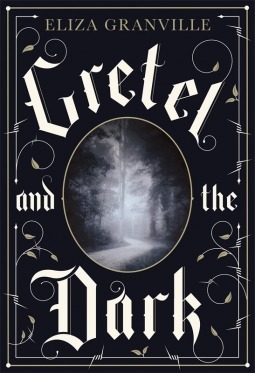 Gretel and the Dark is her first novel to be published by a major publisher. This looks pretty good :) I enjoy retellings, but not too much historicals though. Still sounds good though! Holy crap this sounds amazing. I wonder if it is getting released in the States? I'll definitely be on the lookout. Great pick! Wow this sounds very interesting! Adding to my TBR list! This sounds awesome! I've just put it in my TBR pile. 2014 is still a long, looong way though! I don't really think this one is for me but I hope it's good and interesting and that you'd enjoy reading it. Ooh this sounds so cool! I love the dark tone of the cover!! Yeah, I'm digging the connection to early psychoanalysis too!! Ditto for the time and setting :D I agree, it sounds like there could be some magical elements woven into this as well! Sounds brilliant, fantastic pick!